Today we wanted to talk about wireless audio conferencing and the leading technologies behind wireless speakerphones. 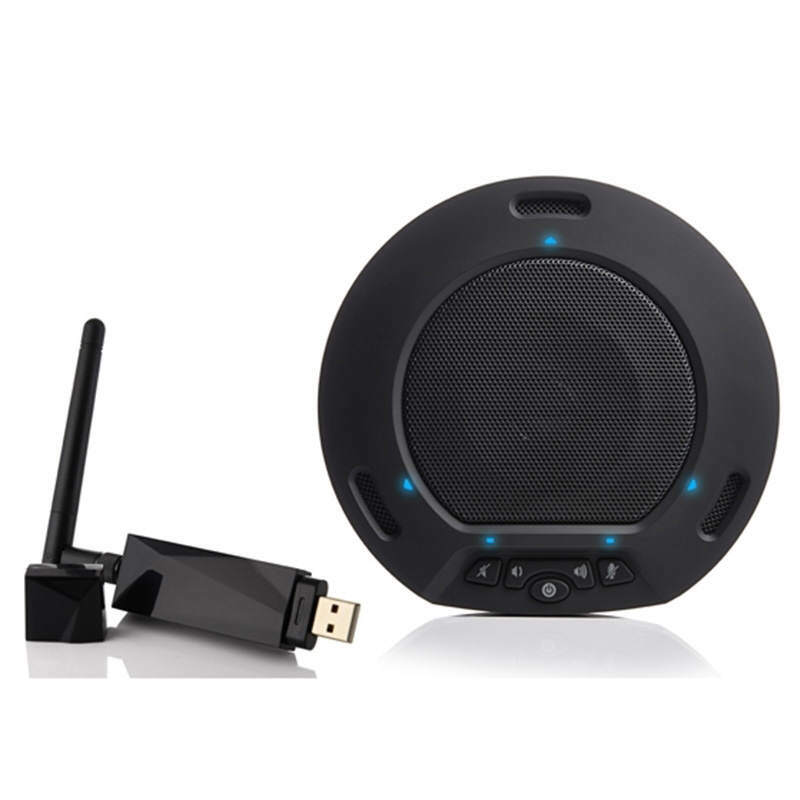 Most of us have used some type of Bluetooth device to wirelessly stream music or even set up a audio conference call. Bluetooth has been the standard for streaming audio and even two audio conference calls. But just like any technology Bluetooth is now becoming out of date as 2.4 GHz provides 100 times the bandwidth with increased reliability. With such a increase in technical specifications and horse power you would think this technology would be expensive right? 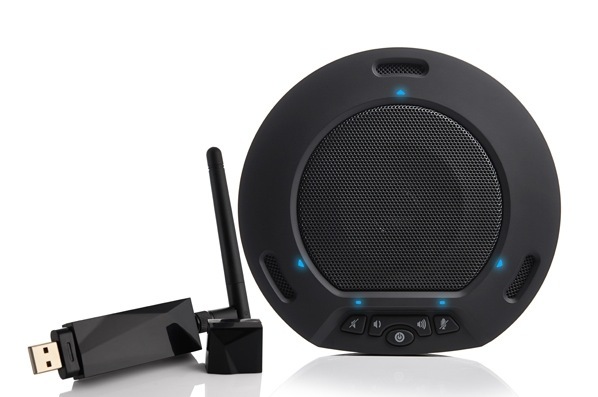 Well the new HuddlePod Air starts at only $299 which is about $100-200 more than a traditional Bluetooth speakerphone. What is the difference? Let’s review some of the additional features you will receive with 2.4 GHz wireless receiver compared to a Bluetooth connection. With a wireless USB 2.0 receiver your computer will automatically load the drivers just like a regular USB 2.0 webcam. Your favorite web conferencing software like GoToMeeting, WebEX or Zoom.US will automatically be selected as your audio device. Bluetooth is susceptible to interference from Microwaves up to 30′ away. With the 2.4 GHz spectrum the FCC requires the acceptance of interference. Therefore the HuddlePod Air can intelligently “hop” between the available wireless spectrum to lock into the highest quality signal connection. 2.4 GHz wireless spectrum has 100MHz bandwidth pipeline. Bluetooth only has a 1MHz bandwidth pipeline. Now try listening the HuddlePod Air which uses a technology we consider superior to Bluetooth (2.4 GHz). This microphone is recorded “wirelessly” but it still maintains a high quality audio recording. In an effort to perform a base line wireless microphone test we recorded the popular Jabra Speak 510 using bluetooth and a direct USB connection. Listen below and you might be surprised by what you here. Because audio quality is such a crucial element for any online meeting we have compiled this complete USB and Bluetooth microphone test recordings to compare and contrast audio quality. Listen for audio quality with these microphones commonly used for web video conferencing and online meetings such as MS Lync, Cisco Jabber and Skype.